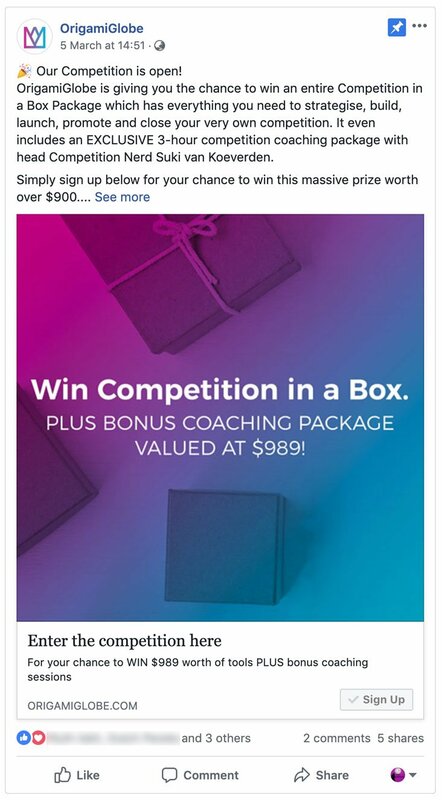 Facebook is one of the most popular platforms for running a competition, but it’s also one we see so many competition faux pas on because people just aren’t aware of the rules or have tuned into the myths instead of the facts. So to avoid having your page shut down and losing all of your followers, likes, posts and hard work; we’re busting the Facebook competition myths and replacing them with the facts. It used to be the case that Facebook did not allow people to enter competitions by liking a page, but this changed in 2013 and it’s now completely OK to ask people to ‘like to win’. In fact, when people like your page, they follow you automatically (unless they elect to unfollow) meaning your posts have more chance of popping up in their news feeds. TIP: unless you’re specifically aiming to boost your page likes, consider removing ‘like our page’ as a requirement for entry. You’ll find that people who are actually interested in what you sell (and not just what they can win for free) like and follow your page out of choice, therefore building an engaged and active page audience instead of people who like your page just to enter your competition. 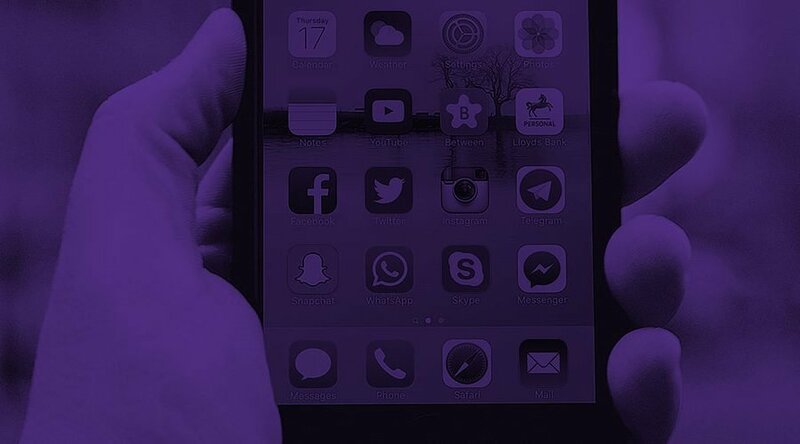 Facebook values original, relevant and quality content; if you’re asking your followers to share the exact same post, timelines will fill up with duplicate posts resulting in a poor experience for their users. To stop this, Facebook have introduced a competition rule which means you must not, under any circumstances ask people to share or tag in order to enter or get additional entries to your competition. 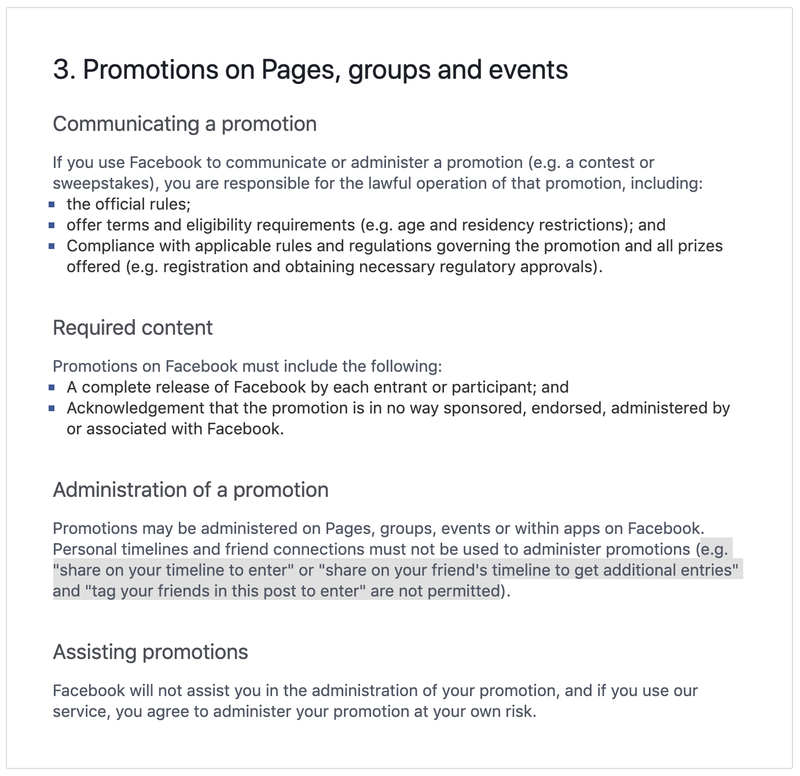 As share and tag is a requirement for entry in the above example (the entrant isn’t eligible to win unless they complete all 5 actions), it’s against Facebook’s rules. Remove the tag and share entry requirements and encourage this organically rather than force it. TIP: want to make sure you stay on the right side of Facebook? Check out our quick reference guide to social media competition rules. This was one of the changes made to the rules in 2013. Whilst you still have the option to run your competition through a third party app such as ShortStack, Gleam or Woobox, it’s no longer compulsory. 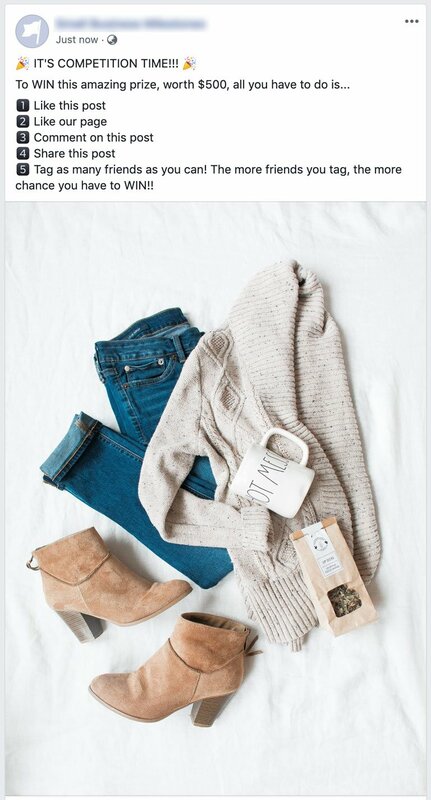 This means you can write a simple post telling your audience what they can win and how they can enter and post it right there on your page. Pin the post to the top of the page, add some eye-catching images and pay a few dollars to promote the post and voilà, you’re running your very own competition! TIP: If you do still like the idea of using an app to help you run and manage your competition, we’ve reviewed 20+ of the most popular competition apps to make your life a little bit easier! Try and keep the entry process as simple as possible. Do you really need them to like the announcement post in order to enter? Think about what each of the actions you’re asking them to complete actually achieves for you, because the more actions you ask them to complete, the less likely they are to enter. Following on from this, think about what you want to achieve with your competition. If you’re just starting out, you’ll probably want page likes, if you’re established but want to get people talking, you’ll want people to engage by commenting. Match the entry method to your overall aim. Pin the competition post to the top of your timeline so it’s the first post visitors see. Make sure you put your most important information first as most of your text will be cut off with ‘read more’. People are interested in what they get, so start with the prize, then what they have to do to get it. Don’t forget the images or videos! Not only are they more engaging to your followers but Facebook’s algorithms favour posts with images and videos. That includes updating your cover photo to let people know you’re running a competition. Make sure you have a way to track entries – if you’re asking people to like your page, make sure you can actually access the list of recent page likes so you can pick your winner. The risk of having your page shut down is very real and with no phone numbers or emails to contact Facebook, I haven’t yet heard of a case where a page has been reinstated. Don’t let this happen to your page! So now you know what’s allowed and what’s going to get you kicked off of Facebook when it comes to competitions, how about running your own competition? Book in a 15 minute chat with our competition nerds to chat through your ideas – and make sure they’re not going to get you in trouble with Facebook!